I've been seeing fortune cookies all over the place, so I thought I'd do a fun little round up for you. 1. Fortune Posters by The Best Part. 2. Fortune Cookie Flash drive from Amazon. 3. Fortune Cookie craft project from Family Fun. 4. Fortune Cookie coin purse from Victore NYC. 5. Fortune Cookie scarf from Xenotee's etsy shop. 6. Chocolate Covered Fortune Cookies from Fancy Fortune Cookies. 7. Fortune Cookie Necklace from Lucid New York. 8. Paper Fortune Cookies Craft Project via Ohdeedoh. 9. 2011 Fortune Cookie Calendar by redblackbrown. Also for today's giveaways I am going to point you to the aforementioned Ohdeedoh for lots of fab giveaways! 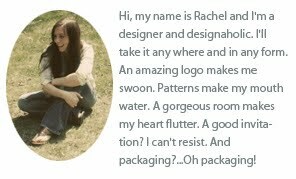 Sweet round up :) Thanks for including our calendar! Those cupcake wrapper fortune cookies are brilliant! Thank you so much for the idea! 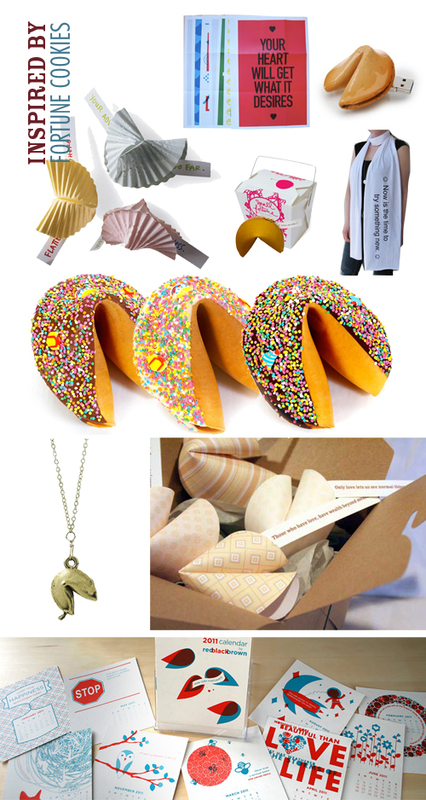 Thank you for featuring the Lucid New York fortune cookie necklace! Renters Rejoice: More Temporary Wallpaper!